After seeing a few bloggers posting of their NetGalley haul, I finally decided to start one as well. I’ve been mulling it over for a long time but just too busy (lazy!) to do it. Anyway, NetGalley is such a big help for an international blogger like me to get digital ARCs. But surprisingly, despite being based in France, I still get a good amount of approved titles. Though I also have a lot of rejections, too. I didn’t let that discourage me considering I have far more approvals than rejections. 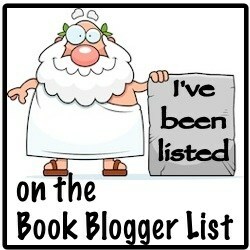 So, today, I’m going to share the five titles, all mystery and thriller, that I’ve been approved of for the past week. Barely employed millennials Tom and Jenny Decker have to grow up fast when they lose their cheap Manhattan apartment. Leaving “the city” is hard, but the blow is softened when they stumble upon a surprisingly affordable house in the suburbs. For Tom, the bills, the mortgage, and Jenny’s unexpected pregnancy add up to terror. He’s not ready for this kind of responsibility. Then he finds the thing in the basement. It makes him feel like a winner even as it scrambles his senses. A new job soon has him raking in the big bucks—enough that Jenny can start making her entrepreneurial dreams come true. The Deckers’ dream home conceals more than one deadly secret. As Tom’s obsession with the basement grows, Jenny realizes that to save her family, she must expose everything. Before it destroys them all. No one ever really wants to grow up…but sometimes behaving like an adult is the only way to survive. The Lady Killer leads a double life in the shadow world of Tokyo’s singles bars and nightclubs. By day a devoted husband and hard worker, by night he cruises nightclubs cafes and cinemas in search of lonely single women to seduce. But now the hunter is being hunted, and in his wake lies a trail of gruesome murders. Who is the culprit? The answer lies tangled in a web of clues, and to find it he must accept that nothing is what it seems. Living in her home in the remote countryside – the perfect place to get away from it all – Helena is a career woman with no job and a mother without a baby. She blames Ashley for destroying her life. But is what happened really Ashley’s fault? A series of chilling murders has left Manchester in a state of terror. Women are being found dead in their homes, their bodies arranged in the same macabre pose. Each has been strangled, her mobile phone forced down her throat. How is the killer getting in to each victim’s house? What have they done to become a target? Why have none put up a fight? Fresh-faced and full of enthusiasm, newly-qualified Detective Constable Sean Blake has just landed a position on the investigating team. Desperate to prove himself, Sean realizes that, if he is to catch the killer, he’s going to have to think outside the box. But is he prepared for the vengeful wrath of a truly twisted mind…? There you go with my first NetGalley Haul features. How about you? What books have you been approved of? Some great looking titles! I snagged a copy of The Secret too as soon as I saw it on there since I’ve loved all of her books so far.